While it may have been Ramona Flowers’ electrifying hair and offbeat good looks that stole the show in 2010’s Scott Pilgrim vs. 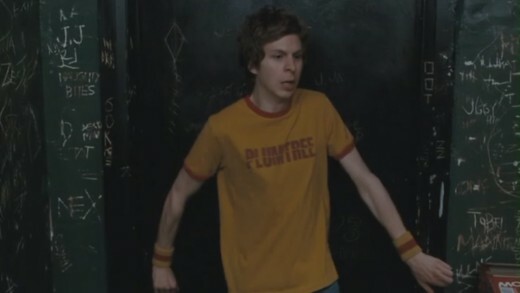 The World, there’s no doubt that the guys were also (when they could tear their eyes from Mary Elizabeth Winstead) taking a good look at the array of cool, quirky t shirts worn by Michael Cera throughout the movie. Looking back at the movie I get the impression that the costume designers stole the entire contents of the Threadless stock list. There are more than a dozen comedy, video game and band related t shirts on display in Scott Pilgrim, and if you’re in the market for a quirky t shirt you could do much worse than to grab a few ideas from the screen. 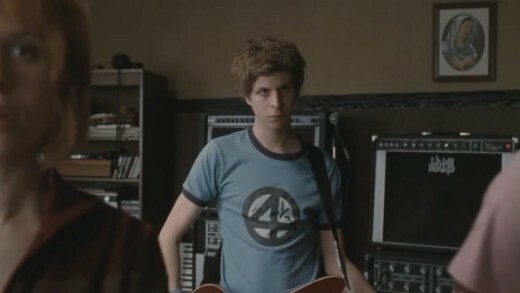 Here, then, are a selection of the best Scott Pilgrim t shirt screen caps from the movie, along with stockist information where possible. The first Scott Pilgrim tee was easy to track down. This T-shirt was originally released by the Smashing Pumpkins and later re-released in response to a million Scott Pilgrim fans screaming that they wanted one (Smashing who? Gimme the damned t-shirt). 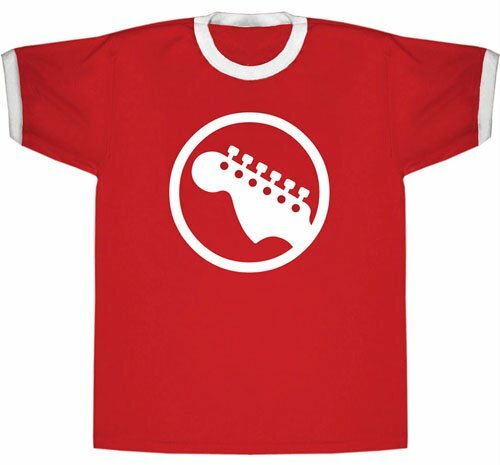 Fans of the Rock Band video games will know that the guitar icon on this Scott Pilgrim T-shirt has been taken from the bass icon from the game. After the release of the movie there was a rush to bang out replicas as fast as the screenprinters could work, but it’s only now that a red guitar t-shirt has been made in the ringer style worn by Scott Pilgrim (and if you’re not gonna bother about screen accuracy you might as well pack up and go home, hipster wannabe). 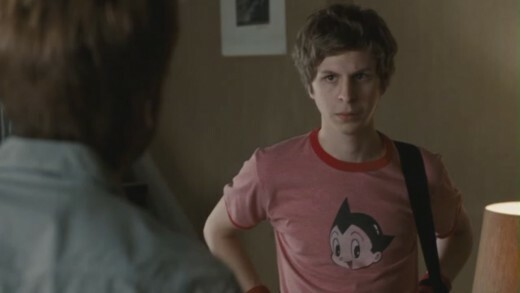 This is one of my favorite t-shirts from Scott Pilgrim. 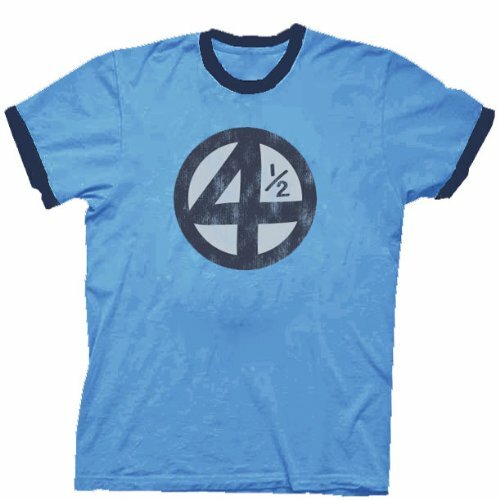 The 4 1/2 design is a reference to Franklin Richards, the son of Mister Fantastic and the Invisible Woman of the Fantastic Four (geddit? 4 1/2! Hilarious). I’m not au fait with the Fantastic Four but I can’t help but love this design. Various versions of the t-shirt have been released, but the only one that’s screen accurate can be found on the link to the right. Yet another great Smashing Pumpkins t-shirt. 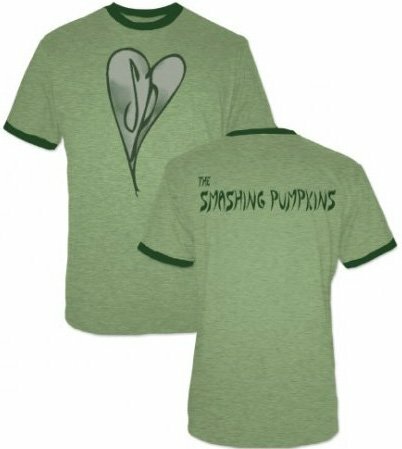 This one, unfortunately, has yet to be released in a screen accurate style with the ringer neck and sleeves, but you can grab an officially licensed Smashing Pumpkins tee that looks pretty damned cool. I’m guessing someone in the costume department for Scott Pilgrim was a huge SP fan (or at least liked the abbreviation). This is a cool little number. The image on the tee is Astro Boy, the Japanese anime freaky robot child. 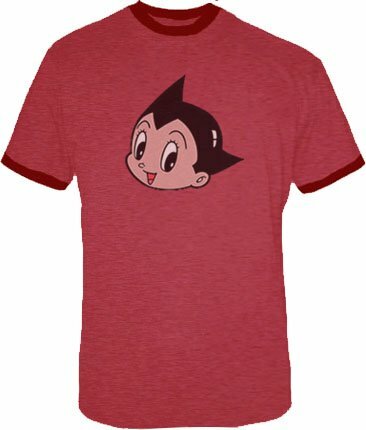 Astro Boy’s face has been plastered on every conceivable piece of merchandise for decades now, so it’s no surprise to see the weird little dude show up in the Scott Pilgrim movie. Personally, this kid creeps me out. This t-shirt was pretty popular before the release of Scott Pilgrim, as the original was made by PixelSweeties (in a non-ringer version). 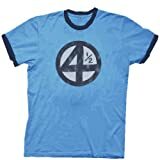 The costume guys on Scott Pilgrim got permission to license the logo, slap it on a ringer tee and pull it over Michael Cera’s neck, and the rest is history. 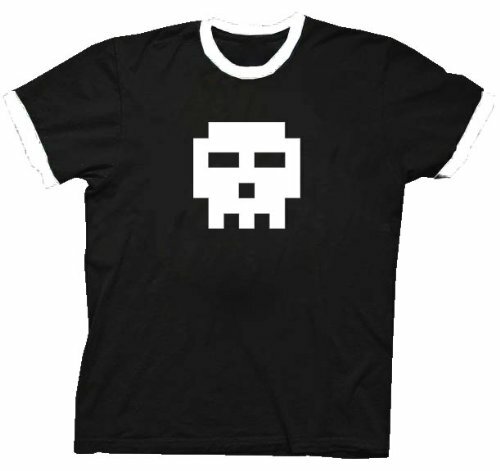 You can now get an officially licensed version of the Pixel Skull tee in a screen accurate ringer version. 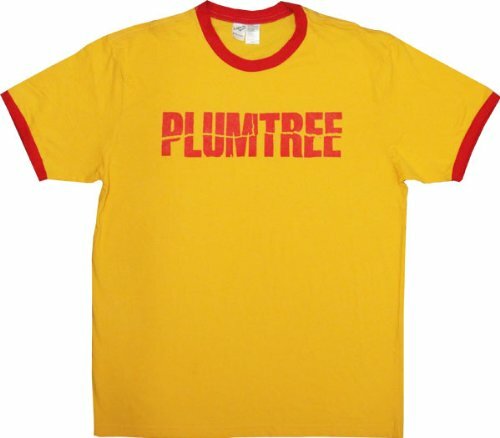 Plumtree was, apparently, a vaguely successful Canadian band who broke up in 2000. Perfect, then, for pride of place on Scott Pilgrim’s chest – guys like Scott love unknown, defunct and probably not very good bands nobody else has heard of. Saying that, I was born in the UK and I live in Mongolia in a city in which, if I got a craving for a Big Mac, I’d have to drive 1,000 miles through a desert to get to the nearest McDonalds. I’m a little out of touch with the civilized world, is what I’m saying. Maybe these guys were huge. I thought this movie was okay I love everything Michael Cera does but found this movie good but a little long. I did however love his shirts and being a big fan of the Pumpkins I lovedhis shirts representing the greatest band in the world. I enjoyed the movie thoroughly, it was funny, charming, and witty. My friends and I were laughing so hard throughout the movie and the funniest part was the fight scene with the vegan ex boyfriend. The shirts in this movie are awesome too! I loved every single one of them and I assure you I’m getting all of them. That movie was awesome, thanks for the post – it reminds me to go back and watch it again. As for the T-shirts, I am no hipster, and I am no hipster wannabe either. I actually own both Smashing Pumpkins shirts from when I they were originally released back in the day. As for Astroboy, I somehow manage to have that too, but I have no idea where it came from. It surfaced in my dresser somewhere between the years 1998- 2002, but I don’t ever remember buying it. I loved that movie and all of the shirts. I have always loved that style. I used to buy shirts like that for my male friends and make them wear them. I especially love the ones that are more form fitting on guys. I was actually in class the other day, and during break a couple of the girls were talking about Threadless. I tend to dress up a little more than that, but they do have some really cute shirts there, and they seem to be quite popular. My boyfriend is always wearing plain tees, and I would like him to add a little something to his style. Maybe I’ll buy him a gift from Threadless.